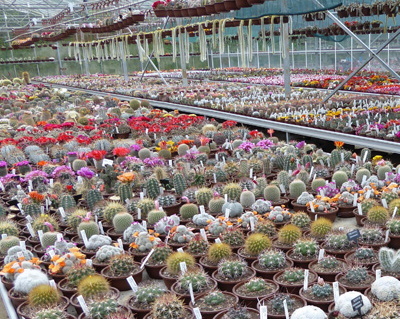 Welcome to Southfield Nurseries, the home of Cactusland - the largest cactus nursery in the United Kingdom. 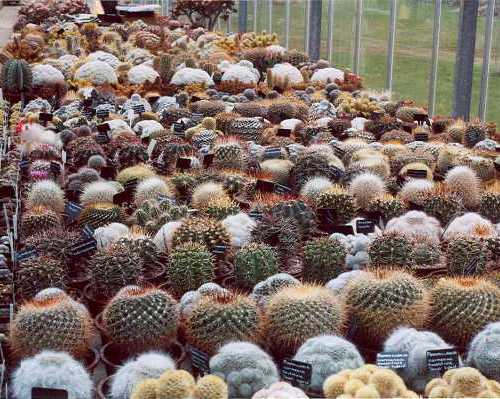 All of our plants are propagated here in our own nurseries and we have many thousands of cacti ready potted and waiting; we have over 750 varieties of plant, including many hybrids that we have developed ourselves which are unique to Cactusland. We are located approximately 15 miles from Stamford on the A15 and the nurseries are open daily from 10:00 a.m. to 12:00 p.m. and 1:00 p.m. to 4:00 p.m. between March and September. October to February the nurseries are open by appointment only. Coach trips welcome by appointment, please.